I’ve been a Canon-man ever since owning my first PowerShot digital camera in 2003 and never really looked at any other makes. Now that I’ve been exposed to Fuji, I am almost pretty certain that the next camera I buy will probably not be a Canon, but a Fuji instead. 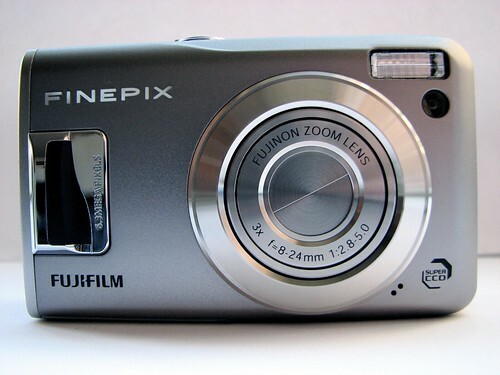 I’ve spent a few weeks with the Fuji Finepix F31fd and I’ve converted. When it comes to cameras, I’ve always stuck with one brand, believing they make the best but I’ve been proven wrong this time. I’ve mostly ignored Fuji cameras in the past but the opportunity arrived for me to test out the Finepix F31fd digital compact camera featuring the revolutionary face detection technology and an amazing 580 shot rechargeable battery life. I’m not the best photographer in the world and I get confused sometimes when people talk to me about ISO and Aperture settings. So I need a camera that will take care of all that for me. A lot of us understand megapixels to be the be all and end all and having more of these pixels is better. This isn’t the case since there are other aspects of a camera that will determine the picture quality. All that having more pixels will do, to a certain extent, is to increase the size of the image. 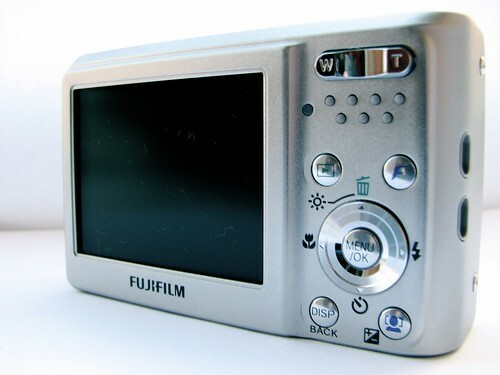 The Fuji F31fd features a 6.3 megapixel resolution with a 2.5-inch LCD display, face detection, “Real Photo Technology” and an ISO rating of 100-3200. These are just some of the truly innovative features that it’s engineers and designers have spent countless man hours trying to perfect. 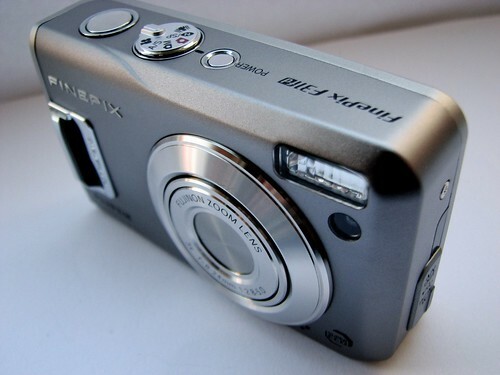 Probably the best digital camera I’ve ever used. About 1/3 of all pictures taken are of people and in particular their faces. So having this technology inside the camera is going to make a difference for a lot of people taking their snaps. The revolutionary face detection technology that is built in to this camera is quite incredible. This feature is able to analyse the scene and pick out features in a face and determine where the face is, gets them in focus and blurs the background. It marks this on the camera screen with a green square that also follows the face whenever the camera or the person moves. Amazing! Some will see this as a gimmick, but I assure you of no such thing. However they’re doing it, it works! Cameras that don’t have face detection will sometimes get the focus wrong and instead focus on foreground objects in the shot rather than the people. So what you end up with is a set of disappointing blurry shots. The “Image Intelligence” chip inside the camera can see and track as many as 10 faces in a shot and will even work in low light conditions with recognition in as little as 0.05 seconds. The faces can be anywhere in the shot, not just the centre and it will get it in focus. I tried this both in daylight and at night with the flash and it worked flawlessly with all faces being recognised in the shot. On the note of flash. From my experience, flash is my enemy. I never have it on because when it is on, it doesn’t produce very good results with most shots being over powered by the flash and end up looking artificial. Fuji have solved this problem with its intelligent flash system that uses the face detection system and ensures that the person in focus is not drowned out with the flash, keeping both the background and the foreground in focus and properly exposed. Gone are the days of horrible looking pictures with the flash because the F31fd magically makes sure that colour and lighting are appropriate to the shot. Back to basics, ISO refers to the cameras sensitivity to light. The higher the figure the ISO rating is, the more capable the camera will be at taking the shot without a flash in low light conditions. The F31fd features a 3200 ISO rating and can go as low as 100 ISO. When you’re taking an image indoors for example where lighting perhaps isn’t all that good, you will want to turn up the ISO. When in Automatic mode, the camera will limit the ISO up to 1600 because with the higher ISO you also introduce ‘noise’. Taking shots at the highest setting of 3200 in a dimly lit room can result in pretty nasty results where the image will look grainy with the colours not looking right. Typically you will not want to go beyond 1600 when taking in low light conditions as this will retain the image quality. The 3200 setting is reserved for taking shots where the subject is not still and moving quite quickly. 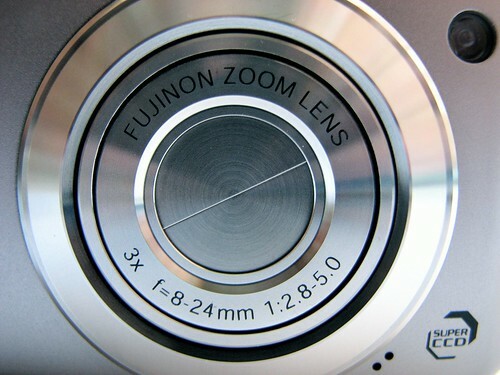 This stops the image from blurring since having a higher ISO setting also increases the speed that it takes the shot. The F31fd does boast some really great results when shooting indoors without a flash. This is thanks in part to the RP Processor II, which helps keep the shot looking natural but also the Super CCD, which helps capture the detail in images pre-processing. One of the modes available on the camera takes two shots in sequence. One with natural light and one with a flash. Why? You may ask. Well it’s for those occasions where you’re just not sure whether to have the flash on or off but with this mode it takes both in sequence and with one shutter press so you get that same shot for both types. It’s a small feature but my god how useful is that. 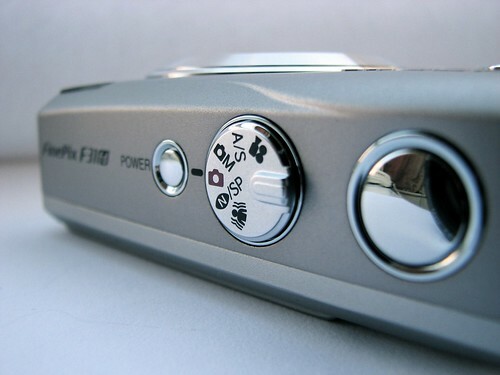 Without it you would have to take your shot, turn off the flash then take the shot again. By that point your subject or whatever it is you were trying to get a snap of will have probably changed, moved or disappeared. Once the two shots are taken they are then displayed side-by-side so you can pick the one that looks best. The rear of the camera doesn’t have an optical viewfinder, which can come handy sometimes but the 2.5-inch LCD display has plenty of backlight brightness to work in even the sunniest of conditions. 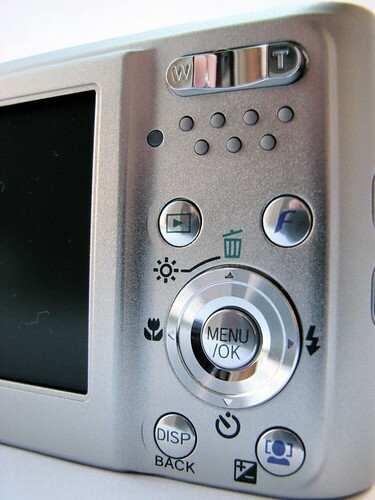 Typically LCD displays do struggle with backlight problems when exposed to direct sunlight so Fuji have applied a film to help the display work in direct sunlight. An optical brightness sensor also detects how much light is available in your surroundings and will automatically adjust the brightness of the display. Nice! 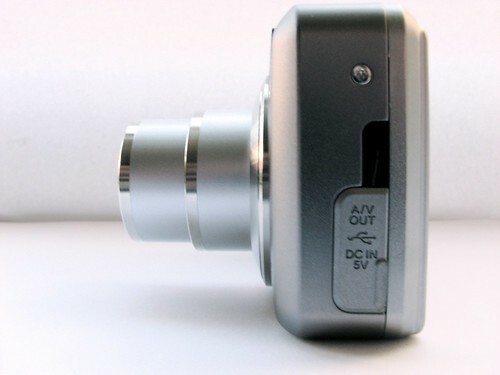 The all aluminium body of this camera has a good solid feeling to it. 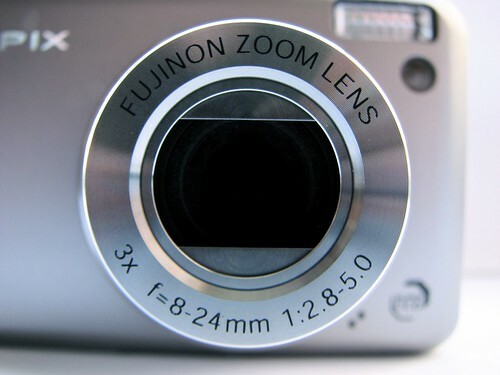 Mind you, it’s no Canon IXUS with its slim designer chassis but the Fuji holds its own. The cold aluminium feels very well made along with the buttons as well, which again screams quality. In the world of fashion and design, the F31fd does very well, it’s not got any of the bold design statements that some of the other manufacturers are going for, but what it lacks in chic designer gear it more than makes up for with fantastic picture quality. Weighing in at 155g it’s got quite a nice weight to it as well, not too heavy but not light weight either. Perhaps a bit too big and heavy for a shirt pocket but will comfortably fit in a trouser pocket. Without a big memory card I wasn’t able to test the claim that the battery lasts for 580 shots. It’s certainly a bold claim and if it’s anywhere even near the 500 mark it beats out most cameras. I guess that’s where some of the bulk comes from since the included battery has an 1800 mAh capacity, a high capacity battery that comes pre-bundled with the camera is very rare these days. In fact Fuji have decided to just include the best battery they could find for this camera and foregone the optional high capacity battery that you normally have to fork out extra for. With the best part of 600 shots, for those occasions where you’re not going to be near a charging point then the Fuji will undoubtedly meet your needs because this camera will go on and on and on, and probably go on longer than your memory card will last. Every camera these days has scene modes so Fuji have supplied 15 pre-sets for the F31fd ranging from taking a snapshot of documents to those great snow and beach scenes when you’re on holiday. I found myself to be setting the camera to automatic the majority of time since it handles these scene modes simply from what it senses and sees through the lens. The Fuji F31fd comes in at about Â£180 from a quick Froogle search, which is a whole lot of camera for what I think is an under-priced product. I think they could have charged more for this camera because I probably would have paid more. This technology-packed camera has no gimmicks and no tricks. It’s designed with one purpose in mind and that is to take the best damn looking pictures possible in any given situation or scenario. The fast 1.5 second start up time and 0.01 second shutter lag means that you will capture every single one of those ‘Fuji’ moments. The brilliant Face Detection combined with the Real Photo technology ensures that you will always get the best shots. No more dodgy looking shots and no more excuses. Any bad pictures that come out of the F31fd can’t be blamed on the camera. It’s just too clever and too good.